OMG Posters! » Archive Ghostbusters and TMNT Posters by Rich Kelly (Artist Copies Onsale Info) - OMG Posters! Rich Kelly will release copies of his TMNT and Ghostbusters posters today. The TMNT poster is an 18″ x 24″ screenprint, has an AP edition of 40, and will cost $70. 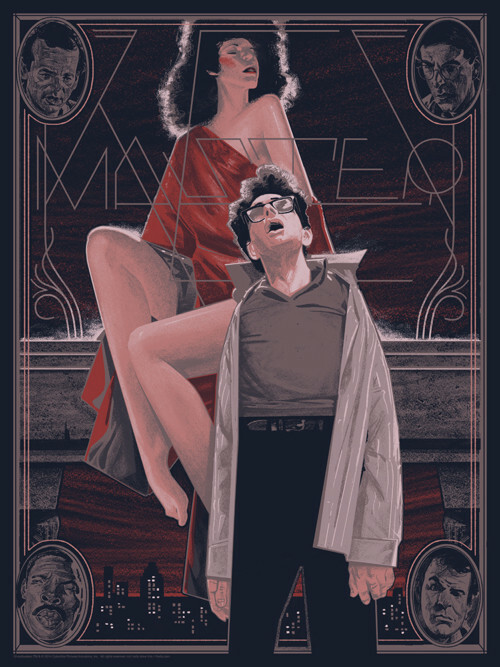 His Ghostbusters print, “Keymaster”, is an 18″ x 24″ screenprint, has an AP edition of 100, and will cost $35. These go up today (Wednesday, September 17th) at 1pm Eastern Time. Visit his shop. Is Leo’s shell on backwards?